Americans spends nearly $3 trillion a year on healthcare–over 17 percent of our country’s gross domestic product. That works out to over $9,000 per person. It takes a veritable army of competent administrators to ensure this vital industry delivers top-quality care while keeping an eye on the bottom line. You’ll find healthcare administrators at work at every level of our complex health care delivery system–from nursing stations to boardrooms to medical suppliers. Healthcare administration degree programs are designed to prepare professionals new to the field as well as those looking to advance their healthcare careers. Degrees range from a certificate or associate degree to the doctoral level. The programs that train tomorrow’s health administrators are as vast and varied as the field itself. From certifications, to bachelor’s all the way to doctoral programs, hundreds of schools offer programs where aspiring health administrators can earn these different levels of degrees. Narrowing the field down can be difficult, but we’ve started the process for you by identifying the schools offering the best in a variety of health administration degrees below. Using our advanced evaluation system, this list offers a choice of programs and degree levels from the best institutions in the country. Learn which programs rose above the rest below. For an in-depth breakdown of the methodology for this ranking, please visit our methodology page. Practicing nurses and aspiring healthcare managers have several degrees from which to choose at the University of Pennsylvania. Admission requirements vary by the degree type. The university intends that students graduate with a better understanding of healthcare policy, economics, ethics and marketing. Numerous elective courses are available, permitting students to customize their study plan. Certain degree programs allow nurses to gain leadership skills to further their careers. Other programs fall under the realm of business studies from the Wharton School. Health administration programs are aimed at creating future managers for private health care organizations, non-profits and government agencies. The Olin Business School tailors degrees in healthcare administration according to student goals. Students at Washington University in St. Louis are encouraged to participate in internships and study abroad programs as well as exploring a wide variety of electives leading to a minor or second major such as strategic management or leadership. WUSL focuses on critical thinking, problem solving, teamwork and communication, and students participate in multiple experiential-learning courses as well as group research projects throughout the program. A required course in career preparation helps students zero in on their area of interest and determine the qualifications needed in that specialty. Based in the nation's capital, this institution provides a unique learning environment for students looking to work at the forefront of healthcare policy making. Georgetown University aims to design a cutting-edge curriculum informed by the evolving nature of health administration. The school encourages students to take advantage of their surroundings whenever possible. The faculty could include practitioners in the field who have worked on nationally and internationally focused initiatives. Experiential learning components include internships and residencies on Capitol Hill in a variety of settings such as healthcare systems, research and consulting firms, think tanks and professional organizations. This Michigan-based university offers students an Allied Health Administration program designed for professionals already working within the healthcare industry who wish to advance into managerial and administrative positions. This program is only open to students having already completed an associate of science degree or certificate program; up to 34 credits can be transferred. The remainder of the degree focuses on a strong general education component alongside core business courses. The program culminates with a 4-credit practicum in administration, similar to an internship, undertaken at an organization aligned to the student's specific area of interest. This course can be completed in two years of full-time study. Alumni of Carnegie Mellon University's healthcare policy and management program can go on to work in public, nonprofit and private institutions on levels ranging from global to local. The program is unique in its focus: housed in the School of Public Policy, concentrations offered include economics and policy; IT and operations; and management and organization. Application of knowledge is paramount to the program, and students participate in experiential learning exercises including research assistantships, a 10-week internship and optional part-time work related to their field of interest. The program culminates with a team-based project focused on healthcare systems synthesis and evaluation for a real-world client. Studies in healthcare administration can lead to a career as marketing coordinator, human resources generalist, physician practice manager, admissions director or other leadership roles in the industry. Students can develop a deep understanding of challenges facing health administrators through courses such as financing and resource utilization. Students also learn how to apply strengths in management and communication within the field of health services. The Ursuline Studies Program, a series of writing-intensive interdisciplinary courses, addresses the liberal studies requirements for degree programs. As a Catholic community, Ursuline College encourages diversity and inclusion with an emphasis on individual identity, values and social responsibility. The College of Health and Public Affairs has several options in the healthcare administration arena, depending on the student's education level and career goals. The students enrolled include practicing health care professionals such as nurses, EMTs, laboratory technologists and dental hygienists who want to bridge the gap between their clinical knowledge and the management side of the industry. Graduates can lead organizations in this industry with valuable experience gained through internships, partnerships and peer collaboration. Courses offer insight into diverse topics ranging from epidemiology to research methods to economics. Recognizing an alarming shortage of health administration professionals, NU offers programs in Health Informatics at campuses in Boston, Charlotte and Seattle to meet the demands for transformational leaders in the industry. The industry is starved for professionals able to navigate the relationships between IT, health, the healthcare system and the wide spectrum of stakeholders; the department believes a strong understanding of information technology can maintain balance in these relationships while improving the overall delivery of healthcare. Students will undertake courses with faculty from both the computer and information science and health sciences departments, creating a truly interdisciplinary learning experience. Howard University has been graduating students from its health management program since 1996 and remains devoted to staying at the vanguard of the healthcare industry. The degree program is in health sciences with an emphasis in administration. A multidisciplinary approach focuses on teaching administrators to develop evidence-based practices and keep the patient at the center of all outcomes. Additionally, by being located in the nation's capital, the university puts students in a front row seat for emerging trends in health care policy. An internship program allows students to gain real-world experience in an array of organizations, including some that are changing the face of healthcare. The School of Public Health at George Washington University plans its health administration programs to incorporate an engaging curriculum and multiple immersion experiences, exposing students to a wide range of healthcare settings. The goal is to offer a holistic education focused on modern managerial theory and practice. Graduates are encouraged to not only operate within their organizations, but to promote positive change. Topics of study include leadership, ethics, strategy, technology and informatics, quantitative research and analysis methods, and laws and regulations. The department also recognizes some students have aspirations outside the nation's borders and provides learning opportunities for the international arena. With a health management degree from Western Carolina University, future healthcare administrators learn how to plan, direct, coordinate and supervise a variety of services in this rapidly changing industry. Students explore the legal requirements in healthcare and learn how to market their organization, develop leadership skills and perform quality performance checks. They take classes in research methodology, biostatistics, healthcare policy and informatics. Students can choose between a research project or thesis requirement for graduation. Graduates of WCU's program can pursue positions as administrators at medical facilities, non-profit organizations, state and local health departments or long-term care facilities. Students looking for a sound business education with principles of healthcare administration incorporated will find MC's offerings of particular interest. Offered as a Business Administration degree with a concentration in Healthcare Management, students will cover a variety of topics in law, ethics, finance, marketing and regulatory issues specific to health administration. Experiential learning is paramount to the program and students should expect to participate in team projects and presentations regularly. Graduates of the program will possess the skills and confidence needed to apply both theoretical and practical knowledge to a variety of health administration settings. As a school specializing in allied health and healthcare degrees, the programs available in Healthcare Administration will meet the needs of any student. Whether just starting out in the field, looking for career advancement or seeking specialized knowledge in health administration, potential students will find an option fitting their aspirations. The department places a strong emphasis on the idea of "being in charge of change," a recognition of the rapid evolution of the health administration industry and the need for capable leaders. Core courses include topics in change management, strategic planning, finance and data administration. The Health Services Administration degree at MGSC is unique in its offering of several concentrations within the degree. For students seeking to specialize their knowledge of health administration, they can choose from practical/clinical management, long term care administration, community health or sports and fitness management emphases. All students are also encouraged to join the American College of Healthcare Executives student organization on campus that provides engaging opportunities for students to network and participate in experiential learning opportunities outside the classroom. The degree is structured to be interdisciplinary in nature, with equal attention given to both business administration and health sciences. A range of innovative courses relevant to health administration are available through CUNY Lehman College. Specializations such as public health administration are also offered, giving students the chance to find a program meeting their particular aspirations. Graduates may find themselves working in many healthcare settings, including hospitals, nursing homes, community health facilities, health insurance companies, managed care facilities and other types of health service providers. The curriculum is based heavily on the belief that a strong liberal arts background paired with specialized courses in the major can outfit students to handle real-world situations they may find themselves in after graduation. Health administration programs offer a number of concentrations at the undergraduate and graduate level, including health care management and planning. Students can learn about subjects ranging from the sociology of medicine to finance to state and local governments. SUNY College at Cortland can build a foundation for graduates interested in roles such as health educators, health administrators, health communication specialists or wellness promotion specialists. Those enrolled in the program have the opportunity to travel and study abroad in London, Belize, Australia and Africa. Students spend an entire semester involved in fieldwork, giving them valuable experience they can take with them to their future careers. Health administration degrees from the University of Saint Mary allow aspiring managers to emphasize either the business or technological aspects of contemporary healthcare. Studies cover the role of insurance, quality improvement, ethics and legal issues. Students can gain hands-on experience in a health service administration project or internship. Another available focus deals with the management of healthcare information, including the expanding role of electronic medical records. Topics range from storage of confidential patient data to diagnostic coding procedures for billing and reimbursement. Students also learn to analyze healthcare data in order to formulate actionable policies. Through its Department of Health Services and Information Management, East Carolina University hosts numerous programs for students seeking work in health administration, no matter their current level of experience. ECU has organized its programs for students looking into mid-level management roles in the healthcare industry as well as those planning to undertake postgraduate work as a means of seeking managerial positions. Students are allowed flexible options dependent on their area of interest - as they identify a particular emphasis, they work with faculty to ascertain if a traditional thesis or clinical internship is more suitable to their goals. Diverse degrees and certificates from UConn's Healthcare Management and Insurance Studies Department enable students to prepare for positions in the healthcare industry. Depending on the program, students complete an internship regulated by the state of Connecticut that helps graduates move seamlessly from college to career. The university encourages small class sizes allowing faculty to interact with students. The curriculum includes business-centered subjects such as risk management and human resources. In addition, several classes focus on health services administration, including medical claims and insurance, economics and finance in health care systems and clinical and social issues in healthcare delivery. Undergraduate and graduate students at Florida Agricultural & Mechanical University have access to studies focused on healthcare administration. The curriculum covers major topics in the field. The program introduces students to concentrated learning in areas of financial management, organizational behavior, strategic health planning, policy, healthcare systems and quality management. An internship component serves as a space where students can use the concepts, theories and practical tools gained in the classroom and apply them to real-world situations. The program's aim is to give FAMU graduates the knowledge and confidence needed to take up managerial roles in varied healthcare settings. The University of Miami's degrees in health sector management and policy are designed for students who aspire to leadership roles in healthcare or advanced studies in areas such as health economics, medical sociology or public health. Classes in health science administration include informatics, marketing, accounting, law and ethics. Other key subjects develop interpersonal and analytical skills for health service managers. Different degree programs allow for specialization in a particular area of interest. Students have access to events hosted by the university such as a panel discussion on the evolution of the U.S. health care system. For students majoring in health services administration, the Department of Health Sciences creates a holistic experience blending interdisciplinary education, internship experiences and resources to support student success. The Health Administration Student Association at James Madison University provides opportunities for engagement such as networking sessions, community service initiatives or social activities to build connections with other students. The curriculum is a mix of general education courses, business subjects like marketing and core classes including gerontology for health service managers and discussions of current industry trends. Students can choose to study specific settings for administration, for example, hospitals or ambulatory and long-term care facilities. With the Bureau of Labor Statistics predicting 5 million healthcare jobs will be added by 2022, the Healthcare Practice Management degree provides an exciting education enabling entrance to a thriving industry. The university has identified key skills needed to be successful in health administration and tailored the program to meet those needs. The curriculum includes in depth studies of business and financial operations, management, accounting, communications, human resources, compliance and medical law and ethics. After completing course requirements, graduates will be well prepared to undertake examinations leading to certification by the American College of Medical Practice Executives. The arena of health service management is growing rapidly, and Arcadia University serves this need in the marketplace with its health administration program. By gaining skills in business, policy-making and legal management, students are equipped for a broad spectrum of roles. The program offers several opportunities for industry engagement, including internships at local healthcare facilities and even an opportunity to study overseas for a semester. The option of incorporating a minor allows students to specialize in an area of particular interest. For the culminating capstone project, students are expected to produce an extensively researched report on a targeted topic and present their findings publicly. The health administration programs offered at Clarkson College of Nebraska are focused on providing students not only with theoretical business knowledge, but also the practical understanding needed to apply it in real-world situations. Graduates of this program include innovative leaders who are able to make informed decisions about problems unique to the healthcare business. For professionals already working in the field, an accelerated option is available, which allows students with busy lifestyles to incorporate further education into their schedules and work toward advancing their careers. Popular alumni roles include medical supply sales, insurance analysts, billing supervisors and pharmaceutical sales representatives. This Rhode Island institution has offered a health policy and management degree for over 30 years; however, this doesn't mean they are behind the times. The program, much like the healthcare industry, is constantly evolving to meet the needs of the field. In recent years, this equated to developing an interactive and interdisciplinary curriculum to address the varied requirements of an exceptional healthcare administrator. In addition to building both theoretical and practical knowledge, students participate in a field experience component designed to provide students a real-world setting to put their skills to use in a structured environment. Many students combine their degree with a complementary minor. Students looking to combine business acumen alongside a unique understanding of the healthcare industry should investigate the Healthcare Management program. Existing since 1972, this degree equips graduates to meet and surpass their organization's needs, resulting in opportunities for professional advancement and more responsibility. Popular areas of work include hospitals, long-term care, outpatient clinics and hospices, pharmaceutical companies, advocacy groups or consulting firms. Graduates can expect to gain a strong understanding of business, combined with a nuanced understanding of the healthcare industry. The program also prides itself on helping students understand the rapidly changing world of technology used in the industry. The accelerated healthcare management program at Chestnut Hill College was designed for adult learners balancing their education with other responsibilities. The college compiled this interdisciplinary curriculum to provide a liberal arts education alongside cutting-edge classes that analyze the ever-changing world of health administration. Some alumni seek positions in hospitals, clinics, long- and short-term facilities, doctors' offices and health departments, while others choose to continue into graduate studies. Professionals moving from a different industry have access to career services. In addition, students can participate in an internship or international learning program. Graduates can develop skills to become confident communicators in many healthcare environments. Students of health administration and policy undertake a rigorous program enabling them to put patients at the forefront while building and managing efficient healthcare systems. Many options for customization are available, allowing Creighton University students to build programs tailored to their aspirations. This includes flexibility in designing a plan of study and selecting an internship site. The institution also offers the option of studying in the Dominican Republic for those whose interests lie in international management. Alumni can explore job titles such as research director, healthcare consultant, hospital administrator or leader in the public health sector. The health administration offerings at California College San Diego include accelerated programs to meet the needs of busy professionals who aspire to further their careers within the world of healthcare. In addition to providing a core set of classes to familiarize students with the specifics of the industry, the college places great importance on outfitting students with knowledge of both the technological advances and ever-changing regulatory requirements necessary for graduates to flourish. CCSD strives to prepare graduates to not only function within their organizations, but also offer innovative and insightful new means of managing and delivering health services. Several health administration programs target students who want to pursue a career in the field. UNF has partnerships with diverse health service organizations, and internships allow students to gain real-world experience in a progressive environment either locally or abroad. Students are able to select from elective courses so they can pursue areas of interest, for example, Aging in U.S. Society. Programs focus on practical solutions to current healthcare challenges, with courses such as consumer issues and quality management. The University of North Florida's degree programs are available in a full-time or part-time capacity, depending on student needs. For its healthcare management program, Ithaca College seeks faculty who are well versed in the challenges and changes of the industry. The health administration program is structured around understanding how to provide quality services while facing cost challenges and other pressures. The program offers an interdisciplinary approach along with opportunities to specialize in areas such as general business or long-term care. Students take advantage of supervised research projects and internships as a way to blend academic learning with practical applications. Graduates gain familiarity with not only day-to-day operations but also strategic questions in public policy, governmental regulations, information technology and cultural aspects of health care. Stonehill College's undergraduate degree in health administration incorporates in-depth internships into its program, allowing students to gain real-world experience while earning their degree. Electives and advanced requirements allow students to focus on an area of concentration that matches their own interests. Graduates can go on to lead health care programs in hospices, home care and managed care organizations, hospitals or planning and consulting firms. While this Catholic college focuses on undergraduate education, Stonehill is affiliated with academic partners such as Regis College and qualified students may pursue a master's degree in the field. Weber State University's degrees in health administrative services are designed to provide the skills necessary for graduates to be successful as supervisors and managers in healthcare settings. Students learn through methods that are utilized regularly in the real world, through group work, interpersonal skills and group decision-making. Classes focus on leadership theory and skills, the process of change and organizational design and culture. Coursework includes computer applications in healthcare, healthcare economics and policy, long-term care administration, biostatistics and clinical instructional skills. Students also participate in an individual study project and a seminar. A program for health information administrators offered by Chicago State University has a clear goal: to prepare graduates to enter the ever-expanding field of healthcare, focusing on the skills needed to help the industry face modern demands. Given the shifts toward digitizing of records and increased use of data and analysis techniques, the field is ripe for professionals who can lead these initiatives. Graduates gain the ability to manage electronic medical records and information databases, work with HR topics like staffing and equipment purchases, and confirm that a consistent and smooth flow of information is provided to all stakeholders. This management-focused program exposes students to the fundamentals of both healthcare and business, setting them up for potential careers in hospitals, nursing homes, outpatient clinics, federal agencies, local or state health departments and more. An internship gives students hands-on experience to apply in the workplace. The program aims to provide one-on-one attention from instructors as well as collaboration opportunities with peers. Students can learn about ethical and legal principles, analytical skills, organizational challenges in the health care environment and leadership. Options for specialization and a minor in the field are also available. Designed specifically for the working professional, the healthcare management degree at Baptist Memorial College of Health Sciences is delivered in an accelerated format. Classes meet one night weekly and students are part of the same cohort during the entirety of the program. Studies offer an understanding of vital skills for managerial and administrative positions within healthcare, including quality, finance, information technology, marketing, strategic management, regulations and ethics. Enrollees are typically already working within the field in entry-level roles, and after completing this program, graduates can seek more advanced positions or further education. For the degrees in health administration available from the University of Scranton, there are several concentration options. Students learn about multiple aspects of the healthcare field, including law, business administration, public health, gerontology, policy and strategic planning. Courses of study range from international healthcare systems to financial management concepts. Students are exposed to knowledge and skills needed to manage various healthcare facilities, and they can gain experience through membership in the American College of Healthcare Executives as well as internships and service opportunities. The university's curriculum reflects Jesuit ideals and explores fundamental values for the healthcare leaders of tomorrow. Professionals who already hold an associate degree, diploma or professional certificate will find interest in LVC's Healthcare Management program. The degree, which is only open to students with these types of previous education, typically enrolls students who are currently working in the healthcare industry but perhaps not in the administrative arena. With the expectation that students have previously completed general education courses, the curriculum is tightly focused on core students in topics like healthcare finance, organizational communications and behavior, medical sociology, marketing, business law and statistics. A full list of approved qualifications for enrollment can be found on the institution's website. The health administration program at this Mississippi-based institution serves students of varying levels of experience. Building on a foundation of general education, students tackle specialized topics relevant to the healthcare industry, including theoretical and practical applications. Topics students can expect to cover include organizational behavior and management, marketing, finance, and current healthcare issues and trends, among others. Belhaven University places strong emphasis on providing students with knowledge of technology and informatics, including the use of data collection and analysis to help improve managerial awareness of organizations' overall effectiveness. The health information administration program focuses on equipping students with an understanding of how technology plays a significant role in the continued evolution of healthcare. The main function of administrators is to manage people and information, and the Georgia Regents University program highlights the various skills needed to perform these tasks effectively. Courses reflect the numerous aspects of health services administration, including statistics, pathophysiology and legal compliance. A practicum allows students to apply their knowledge in the workplace. The 69-credit program is structured as "2+2," meaning students take all of their general education courses at GRU or another accredited institution before transferring into this major. At both the undergraduate and graduate levels, Southern Adventist University has degrees for students who aim to become leaders in health care administration. This educational foundation includes general studies in subjects such as human resources, economics and business and specific topics for concentrations are also available. The curriculum ranges from death and dying to Christian studies. Students learn various aspects of health services management, including marketing, accounting and patient advocacy. Program participants also gain exposure to best practices in contemporary health services through an internship. At Saint Louis University, students can earn degrees in health administration through the College for Public Health and Social Justice. Courses expose students to the many aspects of health services management, from marketing to technology to strategic planning. Saint Louis upholds the Jesuit tradition, through education of the whole person and rigorous instruction. Its goal is to produce true leaders in the health care community - visionary leaders who improve the health of those they serve. Saint Louis has an advisory group of senior practitioners and alumni who meet to advise the department on training, curriculum and healthcare practice. Offered as both a standalone degree and a concentration for the MBA, the healthcare management program is focused on providing students with options when it comes to planning for careers in health services. Emphasis is placed on building skills in policy, marketing, strategic planning, managed care and long-term care, allowing graduates remain on the cutting edge of this ever-changing industry. The addition of an experiential learning component allows DBU students to select a culminating project in their particular area of interest, be it research, consultation, facility management or clinical practice. Ohio-based Baldwin Wallace University is committed to providing an innovative curriculum in healthcare management and diverse opportunities to meet the goals of students with a variety of experience levels and backgrounds. Students can benefit from resources such as real-world learning, independent research requirements, professional mentorship and engagement with classmates who are passionate about this field. Graduates are exposed to not only a solid liberal arts foundation but also a nuanced understanding of business skills tailored to the healthcare industry. Alumni can go on to take up managerial and administrative leadership positions in a variety of healthcare settings. Healthcare professionals can prepare for positions of increasing responsibility with a health administration degree from University of La Verne. Students learn how to analyze contemporary issues with critical awareness, employ management techniques and apply statistical and financial knowledge when resolving problems. There are several degree levels and areas of concentration from which to choose. Students examine general leadership and management practices as well as budgeting and finance, communications and quantitative and qualitative methods for decision making. Courses specifically for the major include managed care, healthcare economics and ethics. Electives cover areas such as gerontology, conflict resolution and managing diversity in health service organizations. The Healthcare Leadership program is firmly focused on preparing students to thrive in the ever-evolving industry of healthcare administration. Perhaps more so than most industries, healthcare is undergoing a great shift. Be it modernization, governmental regulations or policy reform, graduates will have the skills and confidence needed to lead their organizations through times of change. In addition to providing a challenging curriculum, the department is attuned to developing skills needed to succeed in managerial roles, including effective communication, delegation, conflict management and negotiation skills, building cohesive teams and making strategic plans. Enrollees are required to complete a minimum of 12-credit hours at an accredited university before applying. Providing options for potential students of varied levels of experience and education, the healthcare administration degrees at PU are designed to produce pioneering leaders no matter their backgrounds. Financial literacy is given special attention, addressing the industry's need for sophisticated systems to manage what has been a complicated process. Graduates will gain tools needed to lead innovation in this area, along with other healthcare specific skills, including organizational administration, research methods, community health, policy and legal issues and human resource management. Given the rapid change of the industry, emphasis is also placed on developing skills in strategic planning and forward thinking. Health administration students at the University of North Carolina at Chapel Hill have a number of programs from which to choose, from dual-master's options to a bachelor's degree or a certificate. These choices make it possible for students to target their learning to their specific goals. Courses cover finance, leadership, informatics and marketing, among other areas. Students of the Gillings School of Global Public Health can approach health care management from the perspective of business administration, urban planning or information sciences. Programs are designed for the current health care professional and those looking to enter the field or make a career change to the industry. Those interested in helping to manage healthcare offices are well-served with a degree in healthcare administration. Students at Rhode Island College can earn a bachelor's degree or obtain a minor in the field, enabling them to take on leadership roles in a large medical office, hospital or public health system. Students take classes relating to marketing, quality assurance, management and economics and can choose to concentrate their studies in a variety of areas - from wellness to informatics to human resources. At RIC, some of the major requirements also fulfill general education requirements. Healthcare administration degrees are found at a range of levels–corresponding to the levels of prior education and experience for students. Undergraduate healthcare degrees start at the most entry-level with a certificate or two-year associate degree. These programs tend to focus on the basic skills required to work in at medical office or facility. More typically, healthcare administrators will need at least a four-year bachelor’s degree. Mid-level management requirements begin at the bachelor’s degree, while upper-level management often requires a master’s degree or a bachelor’s degree combined with significant experience. Students looking to engage in shaping the direction of future healthcare administration may pursue a doctoral degree. Even as they pursue their degree, they may be involved in crafting public policy both by conducting and publishing research and using their findings to advocate for changes to our current health care system. A doctorate is also appropriate for professionals pursuing a career in academia. Foundational business communication and organization in a healthcare setting. Topics specific to healthcare such as medical terminology and anatomy and physiology. Designed to provide a solid foundation in fundamentals management in a healthcare setting. Some programs offer courses that allow students to specialize in the needs of nursing homes or long-term care facilities. Courses in management, finance and communication, anatomy and physiology, medical terminology, medical billing. General education components, such as basic college math and literature. Business and managerial fundamentals including business communication, economics, finance, accounting and organizational theory–specifically addressing how these skills are used within a healthcare setting. Courses solely relating to the delivery and management of healthcare institutions including medical information technology, health service ethics and law, and medical terminology. Specialization-specific. May include business courses such as management and organizational theory, human resource management, economics and finance tailored to the healthcare industry. Healthcare system topics: health informatics or medical terminology. Generate and employ empirical data and statistics to solve practical and policy issues in healthcare. Deep understanding of healthcare issues, theories, laws, practices, etc. Conduct research, analyze statistical results, interpret and present results, evaluate or peer review the findings of other researchers and craft and evaluate policies based upon findings. There are two kinds of certificate programs in healthcare administration. The first is a certificate that can be obtained by students with little or no previous postsecondary schooling. Students on the cusp of a healthcare career may wish to pursue a certificate as a way to improve their chances of being hired. Professionals already working on the business end of healthcare, in medical records or as front office staff, may also pursue a certificate to increase their levels of responsibility, improve their chances for promotion and move beyond entry-level positions. A graduate certificate in healthcare administration is also available. These programs require at least a bachelor’s degree. Some graduate certificate programs are designed solely for those already employed as health care managers or administrators. Texas State University’s Graduate Certificate Program, for example, requires applicants to have two years of experience as a healthcare manager or professional. Other programs are geared for students seeking to specialize in specific areas of administration or offered to students with a business background and management experience in another industry as a way to get into healthcare management. Additionally, some certificates are designed for healthcare workers, such as nurses, who wish to transition out of clinical practice and into an administrative role. What are the prerequisites for a certificate in healthcare administration or management? Programs geared to entry-level positions often have few requirements for entry. The most common requirement is a high school diploma or G.E.D. The requirements for admission to graduate certificate programs vary depending upon the school. Programs geared toward current healthcare professionals typically require a bachelor’s degree in healthcare services or administration or a business administration degree with prior experience in healthcare management. Programs focused on transitioning business professionals into the healthcare industry will require a bachelor’s degree, but may not require any healthcare background. The more selective school, the stricter the admissions requirements may be. Tennessee State University’s healthcare administration graduate certificate program, for example, requires a 3.0 is needed for admission. Letters of recommendations are often required and should focus on your prior management experience and strengths as well as your demonstrated experience or interest in healthcare. Essay requirements offer applicants a chance to highlight their practical knowledge of management and healthcare. Who should pursue a certificate in healthcare administration? The entry-level certificate in healthcare administration may be ideal for students without a postsecondary education looking to gain valuable education and skills necessary for certain entry-level healthcare administration positions, such as medical coding and billing. Graduate certificates in healthcare administration and management are designed for professionals with prior experience in the healthcare field. Certificate programs can be a smart first step toward a master’s degree, as some schools will apply these credits toward a future degree. Graduate certificates can help students build up their management credentials and specialization. Students may choose to pursue specializations including finance, human resource management, health informatics and marketing with a focus on applying these specializations in a healthcare administration role. How long does it take to pursue a certificate in healthcare administration? Healthcare administration certificate programs typically take one year to complete. Will I earn college credit in a certificate program? Some certificate programs do translate to college credits. However, prospective students considering the graduate certificate as a first step to a master’s degree should carefully to research admissions requirements for master’s programs prior to enrolling. Missouri State University, for example, will apply credits from a student’s health administration graduate certificate program (CHA) to their own master’s degree program (MHA). The school is careful to stress that completion of the certificate does not guarantee admission to that master’s program. Applicants will still have to meet MSU’s admissions standards. Other graduate schools will not accept transfer credits from other universities. Entry-level certificate programs will prepare students for first-step careers across the healthcare industry. Graduate certificates in healthcare are geared toward working professionals interested in entering management or putting their management skills to work within the healthcare industry. Manage the front desk duties at larger institutions like scheduling and checking in patients. In smaller departments of practices, receptionists may be called upon to handle some of the back office duties, such as filing medical records. May come from non-healthcare management backgrounds, medical backgrounds, or from lower-level healthcare administration positions. A graduate certificate program provides healthcare-specific managerial skills they will use for staffing, budgeting, billing and information management. Typically come from medical backgrounds and put the skills they learn in a graduate certificate program to use managing departments such as physical therapy, oncology or surgery for large hospitals or clinics. Their duties will be similar to those of a medical office manager. Given our increasingly complex health care system, there is a growing reliance on healthcare administrators to ensure the smooth delivery of high-quality care. An associate degree in healthcare administration, also called health services or healthcare management, prepares students to enter this field. In a small office, healthcare administrators are often tasked with efficiently overseeing all administrative tasks–from billing and coding to accounting and scheduling. In larger healthcare organizations, healthcare administrators can be found of carrying out daily tasks needed to run individual departments, on both the clinical and the business side of the operation. What are the prerequisites for an associate degree in healthcare administration and management? While specific requirements will vary depending on the school, most programs require a high school diploma. Some schools require a minimum GPA of 3.0. Courses in business, math, and science can help prepare students interested in this field. Once accepted to the program, students may be expected to complete general education requirements in addition to courses within their area of study. Who should pursue an associate degree in healthcare administration? For students with little or no professional experience, an associate degree could be a good first step toward an entry-level position in healthcare administration. An associate degree can also be a first step toward a bachelor’s degree in healthcare administration, a degree that is generally required for management level jobs. Current healthcare professionals, both clinical and office staff members, may seek an associate degree to pave the way toward a supervisory position. The degree can bolster their credentials and provide them with the skills they need to address the organizational management, finance, and human resource needs of a medical office or hospital department. How long does it take to pursue an associate degree in healthcare administration? Associate degree programs in healthcare administration generally take two years to complete. Will my associate degree credits count toward a bachelor’s degree? Many schools will honor credits and courses taken at accredited institutions. However, every school will have its own set of requirements for transferring credits. At Pennsylvania College of Health Sciences, which offers both an associate and bachelor’s degree in healthcare administration, students can apply to have credits from other degree-granting institutions transfer. Only certain courses, like college algebra or anatomy and physiology, are accepted. Students must have earned a minimum grade and must have completed courses within the last 10 years. If you are relying on transfer credits to shorten the length of time it will take to get your bachelor’s degree, it is imperative for you to check out your school’s requirements. Associate degrees in healthcare administration help prepare graduates for entry-level positions in the growing healthcare industry. Graduates may find job openings in hospitals, clinics, physician group offices and health insurance companies. Also known as medical office assistants, they manage the day-to-day operations of a physician group, medical practice or hospital department. Duties may include scheduling, filing and accounting. They handle billing for medical offices and hospital departments and must have a solid understanding of medical terminology, medical billing and coding procedures and basic accounting. Also called medical records clerks or health information technicians, they manage patients’ medical records. They review records for accuracy, code records for insurance and billing purposes and ensure files are organized and accessible. A bachelor’s degree in healthcare administration can open the door to some mid-level management opportunities within the growing healthcare industry. Healthcare administrators, also known as health services managers, may oversee entire healthcare facilities including hospitals, ambulatory care facilities, nursing homes, clinics, or a physician group practice. Alternatively, healthcare managers might be responsible for the operation, budgeting, and staffing of a single department within one of those larger facilities. Bachelor’s degree programs in healthcare administration may offer students the opportunity to specialize and focus on areas such as medical information technology or long-term care management. What are the prerequisites for a bachelor’s degree in healthcare administration and management? Health administration is a major offered by many four-year universities and colleges. The selectivity of your school will determine specific admissions requirements. Most schools will require that you first apply and get accepted to the college, declaring a major in health administration once you have completed a certain number of fundamental college courses. At Regis University, for example, students must have a 2.5 GPA and 12 credit hours to be eligible for the healthcare administration program. California State University, Long Beach requires applicants to their program to complete courses in economics, biology, accounting, statistics and business math. At some schools healthcare administration is a limited admission major, meaning students must specifically apply and be accepted to the program. Again, the requirements vary by school. At Florida International University, for instance, this policy applies to transfer students, as opposed to freshmen, who have earned a certain number of credits at another university. Who should pursue a bachelor’s degree in healthcare administration? A bachelor’s degree in healthcare administration is appropriate for students interested in beginning a career in mid-level healthcare management. Graduates should be equipped to handle the business side of hospitals, clinics, and long-term care facilities. They may put their skills to use in human resources or accounting departments. Or, they may oversee the overall needs of a healthcare system from facilities and staffing to budgeting and legal compliance. Students interested in this degree should be able to think critically to solve complex problems. They will need a background in basic science and math so that they may successfully complete the course requirements for this major. They will also need to be comfortable with technology, detail oriented and able to communicate effectively. How long does it take to pursue a bachelor’s degree in healthcare administration? It takes at least four years of fulltime study to complete a bachelor’s degree program. Will my bachelor’s degree guarantee me a job? Unfortunately, there is no degree that can guarantee a job. However, there are a number of things a bachelor’s degree in healthcare administration has going for it. The first is that healthcare is the currently fastest growing sector of the economy–and the demand for healthcare administrators is predicted to grow 23 percent through 2022. What skills and knowledge are acquired through a bachelor’s degree program? A bachelor’s degree is solid preparation for mid-level management opportunities within the healthcare system. Graduates apply their understanding of organizational management, finance, marketing or human resources management to the healthcare setting. Work closely with upper-level hospital administrators or long-term care administrators. They may be responsible for a department within a larger institution, such as nursing or medical records, or provide more generalized support by handling the day-to-day operations of the facility. Supervise the medical coding and billing for an office or medical department within a larger facility. Responsible for recruiting and maintaining medical office and clinical staff. They handle payroll and benefits as well as making sure their institutions adhere to state and federal employment laws. Healthcare administrators, also known as healthcare executives, manage and oversee every aspect of our complex healthcare system. They can be found in the boardrooms of large research hospitals, at health insurance companies, and biotech start-ups. A master’s degree in healthcare administration and management prepares students for mid- to executive level careers in this growing industry. There are several master’s degrees available. As its name suggests, an MBA in healthcare administration focuses on the business and finance end of running a healthcare organization. Alternatively, students can concentrate on finance or business operations within a traditional master’s in health administration program. Electronic health records are changing the way medicine is managed and delivered. As a result, master’s degree programs, such as a master’s degree in health informatics, have been developed that prepare managers to deal with the technological needs of a healthcare organization. Within a healthcare administration program, there will be both formal and informal opportunities to expand students’ skill sets and explore areas of specialization from healthcare marketing to human resources to clinical management. To learn more about the master’s degree programs in healthcare administration, please see our MHA guide. 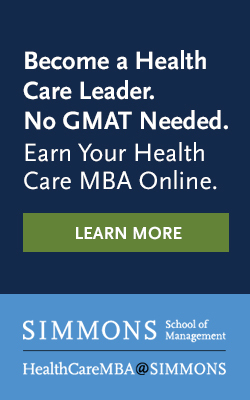 A master’s degree is designed to hone students’ management skills and broaden their understanding of the unique needs and challenges of a healthcare organization. Manage long-term care facilities–overseeing admissions procedures, marketing, staffing, budgets and facilities management. Oversee the fundraising and charitable giving activities of hospitals and other healthcare institutions. Healthcare administrators and others at the upper levels of healthcare management are responsible for the larger scope of keeping their institutions both profitable and providing top-notch care. They may represent the hospital at board or investors meetings, set budgets, oversee facilities and ultimately be responsible for ensuring their institutions are in compliance with state and federal laws as well as medical ethics. Leaders at the highest levels of corporate, non-profit and governmental healthcare systems must have a solid understanding of healthcare policy and science. A doctorate or PhD in health administration or health services is a research-driven degree that prepares leaders for roles in health policy, advocacy, and the highest levels of administration. Alumni of these programs work for public policy and research organizations or think tanks including the RAND Corporation. They work in government at the state and federal level. They work for private pharmaceutical companies and laboratories as well as health services organizations. Some doctoral students enter academia either teaching future healthcare leaders or working at a research institution. What are the prerequisites for a doctorate in healthcare administration and management? Doctoral degree candidates will need a master’s degree along with significant work experience in the healthcare field. Successful applicants may have a master’s degree in one of several specialties, including healthcare administration and management, business administration, health informatics, public health and public administration. Medical degrees, advanced social science degrees, and law degrees are also acceptable for some programs. Universities and colleges are looking for “significant” experience. This translates generally to 5-10 successful years in management or clinical practice. As a result, many doctoral candidates come from a healthcare management background. Some doctoral candidates are physicians or clinicians. Some come from a business administration background with experience in private or public management. Recent graduates of Medical University of South Carolina’s doctorate in healthcare administration include a Hospital CEO, a director of physician development, and a vice president of health analytics. Is a doctorate in healthcare administration only appropriate for students interested in teaching? No. While some graduates of a doctoral program may pursue faculty positions, other graduates will put their degrees to use in high-level leadership, policy and advocacy positions. How long does it take to pursue a doctorate in healthcare administration or an MBA in healthcare? It will take between 3-5 years to complete a fulltime doctorate in healthcare administration. What skills and knowledge are acquired through a doctorate program? A doctorate or PhD of healthcare administration is appropriate for those working at the apex of our healthcare system. Graduates will perform and apply research to myriad healthcare issues that affect the public’s health. May be found within government entities, think tanks and large institutions including hospitals and universities. These professionals collect, analyze and present their data and findings to tackle the healthcare challenges we face today. May find employment within the same institutions as fellows and researchers. They may also be employed by or lead advocacy groups or non-profit institutions. Use their research or that of others to drive specific policy agendas. Teach the healthcare leaders of tomorrow at colleges and universities while pursuing their own scholarship and research. Not all health administration programs are created equal. It is up to prospective students to find out if a school or program is well suited to their needs before they enroll. 1.Is your school CAHME accredited? A degree of any kind is only as good as the institution backing it. The Commission on Accreditation of Healthcare Management (CAHME) certifies individual healthcare management and administration programs. While not required, certification provides a quality benchmark for prospective students as well as employers of future graduates. The Association of University Programs in Health Administration is another non-profit body that represents a standard of quality for individuals as well as degree programs. 2.What sort of electives or areas of specialization does the program offer? Don’t just assume that a program offers what you want to study. Not all programs offer a concentration in health informatics beyond an introductory course, for example. In that case, you may wind up taking additional courses or pursuing certifications above and beyond the scope of your degree. Schools may offer dual degree programs such as Drexel University’s health services administration/law or health services administration/public health degrees. 3.Does the program offer quality internship placements? Professional internships, sometimes called externships, are becoming a mainstay of many college programs. They provide students with the kind of hands-on experience employers are looking for, as well as connecting students with industry mentors. Healthcare administration programs should offer students placements within respected hospitals, often teaching hospitals connected to the university. Healthcare administration programs should have established relationships with health care service organizations or health services companies, including pharmaceutical or biotech companies. A company does not necessarily need to have a formal internship program to offer you a quality experience. Here are a few hallmarks that can help define a successful internship. It has an organized structure. There are clear expectations for your work. It offers opportunities for higher-level work as opposed to just “grunt” work. It connects interns with professional mentors. It often hires former interns or helps them build a professional network after graduation. 4.What happens after you graduate? No school and no degree can guarantee you a job, but some schools are better than others when it comes to helping their grads find employment. You’ll want to know if your prospective school offers recent (and even not-so-recent) grads access to its career counseling center, or if you’ll be on your own after graduation. Questions to ask: What is the gainful employment rate for recent grads? How many are working in their field of study? Some universities and colleges, like Loma Linda University, happily publish this information (LLU reports a 100 percent gainful employment rate). Other schools, like Medical University of South Carolina provide anecdotal evidence of their graduates’ success. It is up to you to research your school’s employment track record. 5. Will credits transfer to a future degree in healthcare administration? If you are pursuing a non-terminal degree, here’s another thing you’ll want to consider. Does your school offer a pathway to further education? The University of Arizona’s Mel & Enid Zuckerman College of Public Health allows all credits to transfer from their certificate programs to a degree program, provided the applicant is accepted. Note that when transferring between schools or programs, credits may be subject to review before approval. Want to know the best way to find out if a school is right for you? Go see it for yourself. Online tours and flashy brochures, statistics and testimonials will only tell you so much. You’ll learn a lot when you take a campus tour, sit in on a class and spend some time hanging out in the student center. Putting your boots on the ground is the clearest way to get a sense of whether or not a school is the right fit. At the end of the day, what makes a great school for one student doesn’t make it a great school for all students.